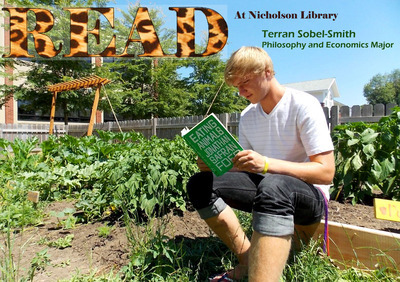 Terran Sobel-Smith, Linfield student, class of 2015, reading Eating Animals, by Jonathan Safran Foer. Terry, Paula and Nicholson LIbrary Staff, "Terran Sobel-Smith READ Poster" (2012). READ Poster Gallery. Image. Submission 98.